This major work draws on current archaeological and textual research to trace the spread of Christianity in the first millennium. William Tabbernee, an internationally renowned scholar of the history of Christianity, has assembled a team of expert historians to survey the diverse forms of early Christianity as it spread across centuries, cultures, and continents. Organized according to geographical areas of the late antique world, this book examines what various regions looked like before and after the introduction of Christianity. How and when was Christianity (or a new form or expression of it) introduced into the region? How were Christian life and thought shaped by the particularities of the local setting? And how did Christianity in turn influence or reshape the local culture? The book's careful attention to local realities adds depth and concreteness to students' understanding of early Christianity, while its broad sweep introduces them to first-millennium precursors of today's variegated, globalized religion. Numerous photographs, sidebars, and maps are included. Early Christianity in Contexts draws on current archaeological and textual research to trace the spread of Christianity in the first millennium. 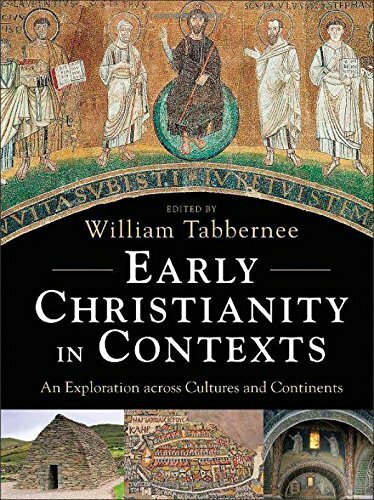 William Tabbernee has assembled a team of expert historians to survey the diverse forms of early Christianity as it spread across centuries, cultures, and continents. "The global presence of Christian faith is now accepted as commonplace. This carefully researched volume demonstrates convincingly how very early that presence came to an extraordinary range of world locations. Close attention to material and cultural evidence makes this an unusually illuminating book." "Foregrounding the material record of Christianity in the first centuries of the Common Era, Early Christianity in Contexts magnificently captures the diversity of Christian experience within and beyond the borders of the Roman world. First-rate research infuses this welcome volume from start to finish, rewarding those who immerse themselves in its captivating treasures." "This is--as always with Tabbernee's books--a carefully written, precise, and well-documented book, but also a book that is a pleasure to read. The chapters contain trustworthy overviews, including the most interesting sources and secondary literature. Those references will allow readers to seek further information. As far as I can see the newest findings and excavations are integrated into the manuscript, and the fact that 'Christianity outside the boundaries' (of the Roman Empire) is included makes the book so valuable. There is no other comparable volume where the new findings from China are integrated into the traditional picture. In short: solid information on archaeological matters is combined with state-of-the-art passages on the history of Christian theologies and denominations." William Tabbernee (PhD, University of Melbourne), ordained in the Christian Church (Disciples of Christ), is executive director of the Oklahoma Conference of Churches. He formerly served as president and Stephen J. England Distinguished Professor of the History of Christianity at Phillips Theological Seminary. Tabbernee led an international team of archaeologists and historians that discovered the long-lost site of Pepouza, Montanism's most holy city. He is the author of numerous books, including Prophets and Gravestones, and lives in Edmond, Oklahoma.